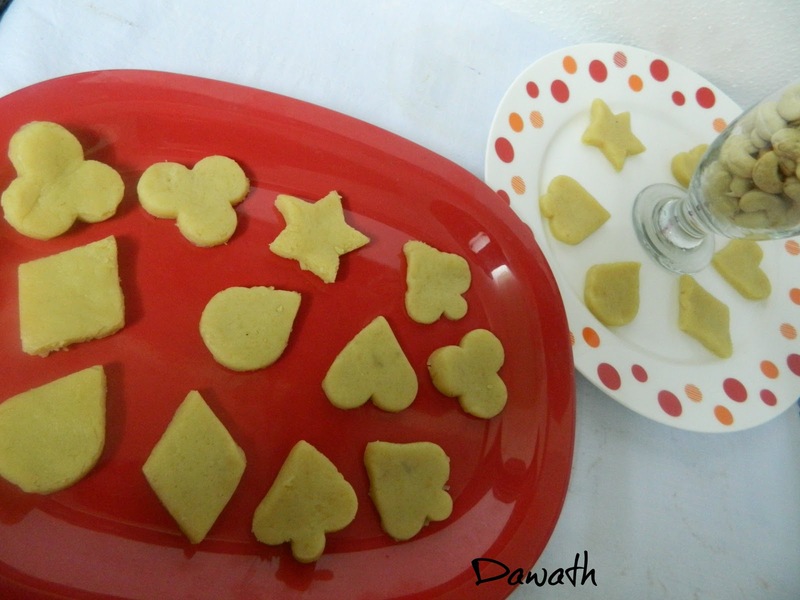 After 2 disasters with 2 different measurements,finally I succeeded in my third attempt.So try try until you succeed ,never give up……This is what I followed like an obedient student…..Kaju kathli is an Indian sweet similar to barfi. 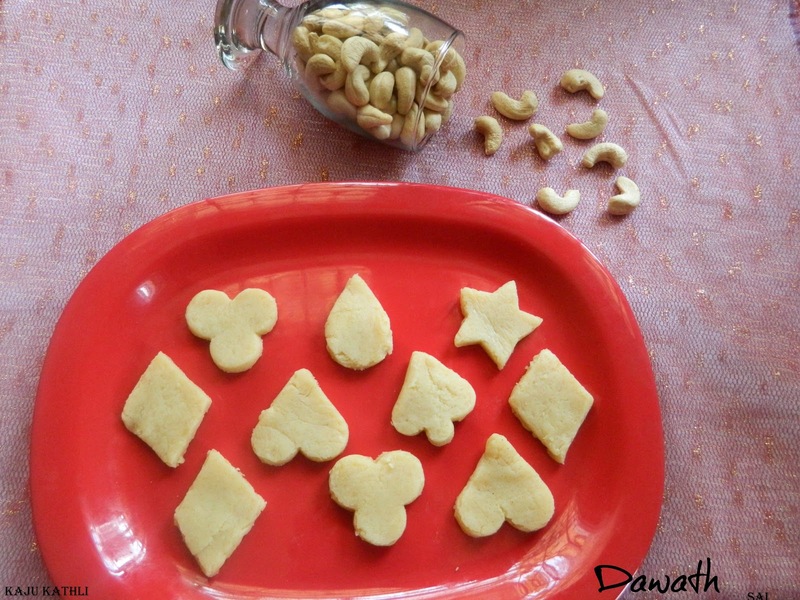 Kaju means cashewnuts.Generally it is shaped into diamond shape but since I wanted to try something different I used the cookie cutter to shape this beautiful kathlis.I had bookmarked this recipe in my recipe book few days back but had misplaced it and yesterday I found it and immediately wanted to prepare it.I also thank my fb group friends for inspiring me to try this Kathli.This recipe is very easy to prepare.So enjoy this lip smacking sweet. Crush kaju to a fine powder. Put all the ingredients together and grind to a smooth paste. Put the mixture in a greased tray(backside) and roll out thinly with the rolling pin ( 1/8”) , cool and cut into diamond shapes. I used the cookie cutters to give the shapes. Store it in a refrigerator . 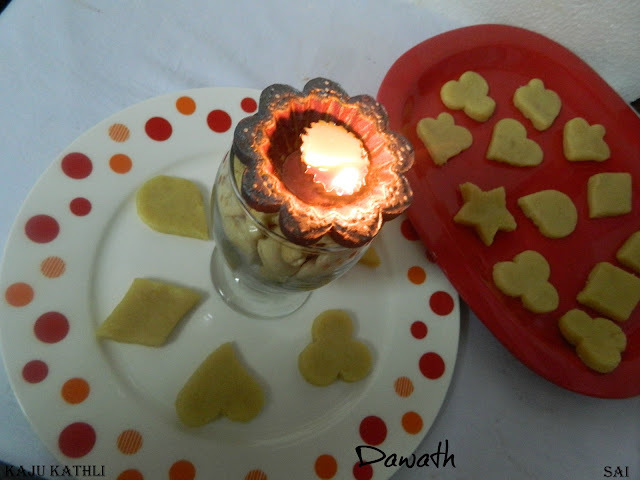 The dough should be like soft chapathi dough.